Namaste Publishing is a passionate, spiritually-oriented team who publish books, DVDs, and other materials that enrich our experience of stillness, oneness, love, and service. As a publisher, I have no interest in just putting more words out into the world. I am interested only in offering readers significantly unique material that is life-enhancing, even life-altering. All true change comes about first through inner work. In trying to treat the problems we are facing, we often ignore the only thing that actually matters—the quality of our inner state of being. Solutions are always found on the inner plane. They emerge when we enter a place of heightened consciousness experienced in inner stillness, which is often called "presence." At Namaste, our overarching mission is to make available publications that acknowledge, celebrate, and encourage others to express their unique essence and thereby come to remember who they really are. "Namaste" is a Sanskrit word that acknowledges the inestimable value of each individual. It is often used to greet and honor others. Translation: "As I acknowledge and honor the divine presence within myself, so do I acknowledge and honor the divine presence within you." The extended meaning of the word has been expressed as: "I honor the place in you in which the entire universe dwells. I honor the place in you that is love, truth, light, and peace. When you are in this place in you, and I am in this place in me, we are one." 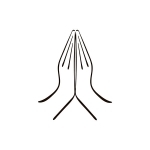 To all our readers, I say, "Namaste."